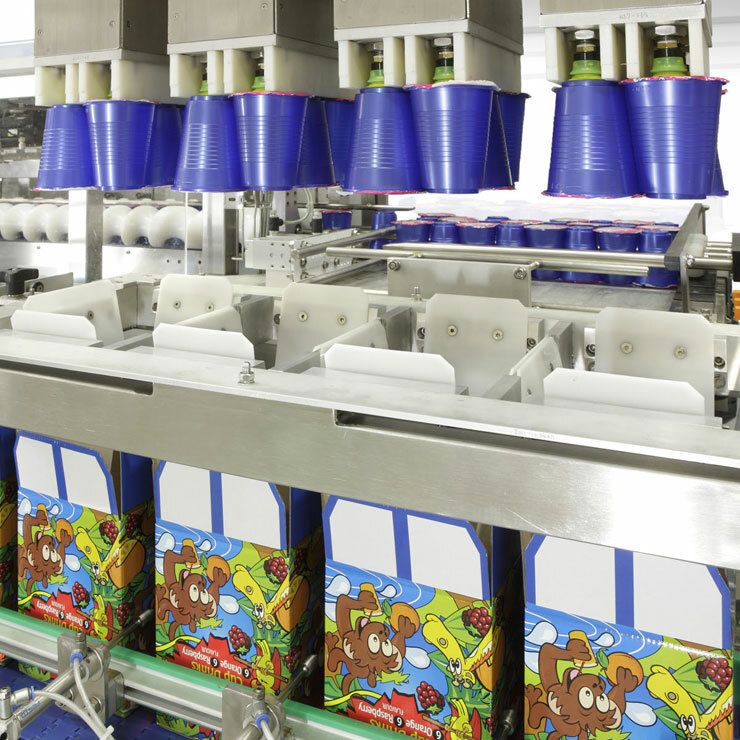 We offer a range of modular lid applicators, providing automated solutions for a variety of lid styles from simple 'U' shaped hoods to four sided lids and shoe box style lids. 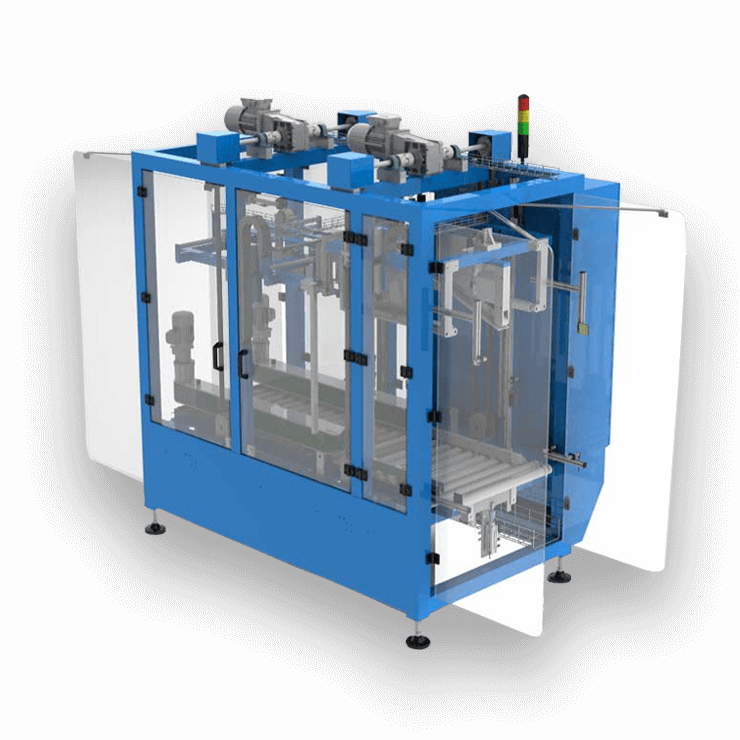 Lid applicators can be retrofitted into existing case packing lines to produce two-piece retail ready transit packaging, fully satisfying the requirements of modern retailers. 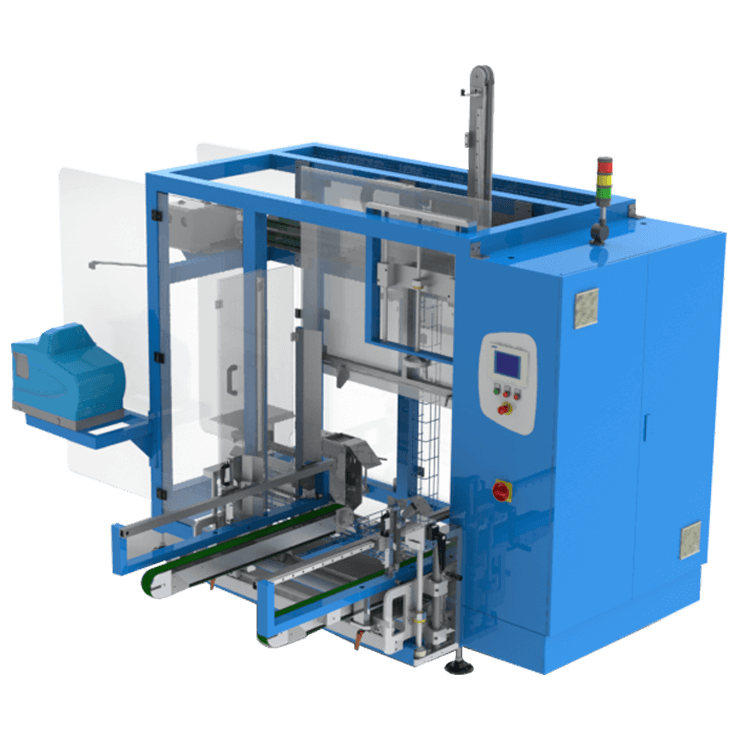 The standalone lid applicator operates on demand, with no control tie-in to the host machine. 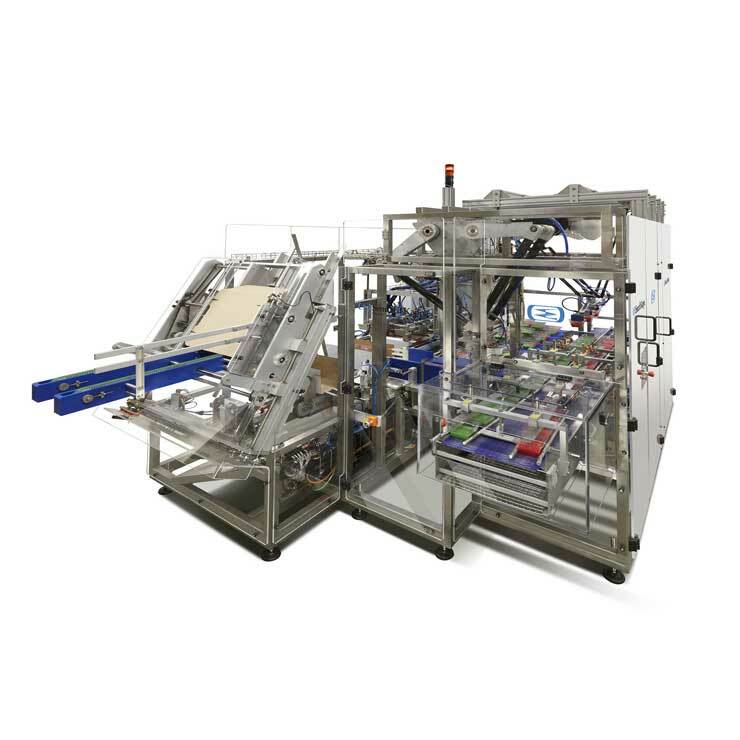 It can operate with both top load tray packing equipment and wraparound case packers, providing a wraparound lid secured by a combination of adhesive and/or tuck-in sections. Easy to use and adjust by operators for quick change overs. Future proof – can be adapted to meet your packing requirements as they change.